SeaWar: TheBattles is a new spin on the classic game Battleship. With lush 3D graphics and realistic SFX, you can pit your battle fleet against the computer or a friend via LAN or the Internet. Choose from four different time periods from 16th century broadsides to futuristic war fleets. Version 2 now is dressed in multitude of effects, unique for each level. Crush enemies by shooting Powder Bomb, Dashed Rockets and ion driven Ball Lightings! By numerous requests game got "head-to-head" mode - play together now on a single computer! 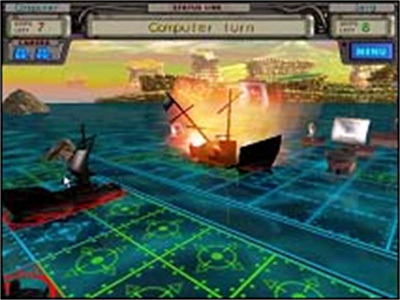 Game features four battle arenas each with different weapon and fleets. Enjoy remarkable blow effects, watch puffs of smoke and dive into the real sea war atmosphere. Play with friends over Internet, LAN and even use embedded chat mode.